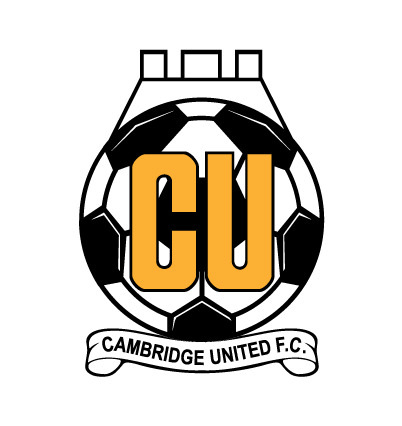 Cambridge United are a professional football club from Cambridge, England. They compete in League Two, the fourth tier of the English football league system. The club were based in the football league for 35 years, until relegation to the Conference in 2005. Initially known as Abbey United, the name of their current stadium, “The U’s”, as they are commonly known, remained outside the football league until 2014, when they regained promotion back to Football League 2 at the end of the 2013/14 season. Cambridge United have had two spells in the league’s second tier, reached the quarter-finals of the FA Cup twice and Football League Cup once. United’s highest ever finishing place in the Football League is fifth in the Second Division during the 1991–92 season, narrowly missing out on being promoted to the first tier and becoming founding members of the Premier League. The club is based at the Abbey Stadium on Newmarket Road, approximately 3 kilometres East of Cambridge City Centre. The stadium currently has a capacity of 10,847 made up of terracing and seated areas. Although the club has traditionally worn amber and black at home, it has experimented with a number of designs of shirts including plain amber with black trim, amber and black squares, stripes and amber with a black sash. Most recently, Cambridge United won the FA Trophy for the first time in their history, beating Gosport Borough 4-0 to clinch the title, while in 2014/15, held Manchester United to a draw in the FA Cup 4th round. In 2016/17, Cambridge United will continue to play in League Two, after a very respectable 9th place finish in 2015/16. Orange and Black shirt, Black shorts and Orange socks.